Element Groundbreaking fabrics joined with athletically inspired designs, that work with your body, while it’s hard at work. Just because you’re working long shifts doesn’t mean you can’t look and feel your very best. Medelita’s women’s scrubs uniforms and lab coats are stylish as well as practical, with revolutionary designs earning the highest-possible industry rating for fluid repellency, soil release, and strength. 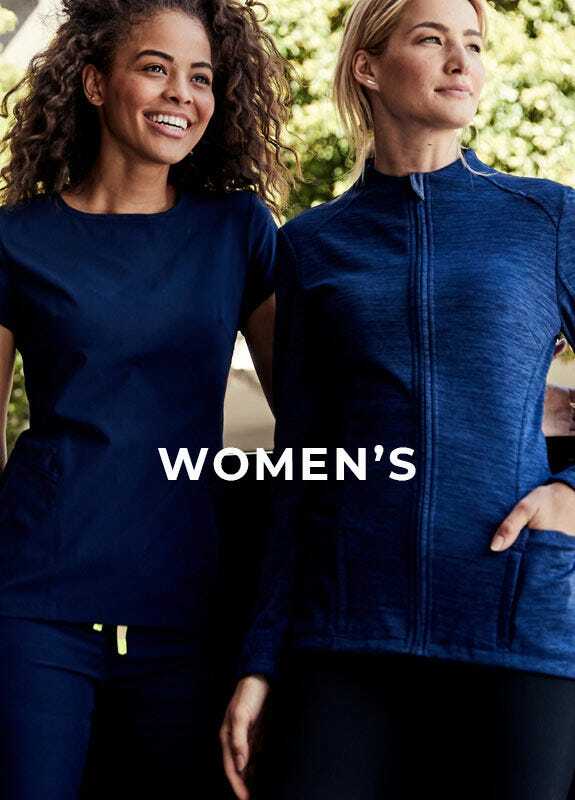 Our scrub sets for women and women’s nursing uniforms come in a variety of flattering silhouettes to suit your style, with high-performance fabric that moves and stretches with you for ultimate comfort. Layer them under a lab coat or over an ultra-soft underscrub tee, made with breathable, moisture-wicking, 4-way stretch material — so you’re always ready for the demands of the job. You’ll embody true professionalism in a Medelita lab coat. With a range of polished designs and classic, slim, and athletic fits to choose from, you can find the ideal coat for your frame and fashion sense that outwardly projects your confidence, competence, and ability.